I used the texture from TRUE EYES SE (2195) and made one of the eye (brown) much darker to give my character a more 'asian' look. So, you have the dark hair, fair skin and the petite body build. But without a very dark brown eyes, it just doesn't feel right.. 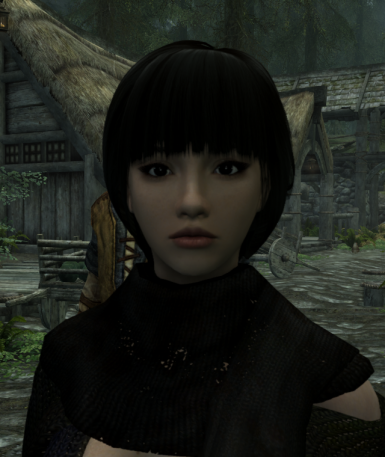 I used the texture from TRUE EYES SE (2195) and made one of the eye texture (brown) much darker, black, to give my character a more 'asian' look. Unzip the file in your skyrim directory. If using NMM, make sure it's loading after TRUE EYES SE.